About South Coast - South Coast Inspections, Inc.
After personally restoring several homes in Galveston and managing them during the 1990's, Mark A. Peebler decided to become a professional inspector. 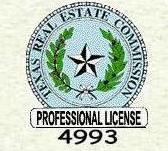 In 1998 he began taking inspection classes, culminating in 1999 with his passing the Texas Real Estate Commission licensing exam and earning Professional Inspector License # 4993. In late 1999, he contracted with a local inspection company to inspect residential and light commercial buildings. In December 2001, after working with that inspection company for two years, and being dissatisfied with the level of service being offered to the client, Mark decided to cancel his contract with that company and start his own. A month later in January 2002, he chartered South Coast Inspections, Inc., becoming it's first and only president. The company immediately began issuing narrative driven computer printed reports with color photos and was one of the very first companies to do so in Galveston. In order to improve the quality of inspections, the company quickly adopted the standards of the Texas Association of Real Estate Inspectors (TAREI) which were higher than the minimally required Texas Real Estate Commission (TREC) Standards. Originally servicing the areas of Galveston and Friendswood, the company soon expanded into the Clear Lake and League City areas, as well as southern Galveston County. In 2003, in an effort to improve his knowlege and service to clients, Mark became a member (#47463) of the Southern Building Congress International (SBCCI), which has since merged into the International Code Council (ICC) of which Mark was issued Member #5154594. In the first few years of business, South Coast Inspections and Mark both earned a reputation for being "tough on houses" by some interests. While no attempt was ever made to "kill deals," increasing efforts were made to become a better inspection company and a better inspector. These efforts were pursued with the fact in mind that inspections are performed to inform the client as much as possible in a limited time of the truthful condition of the property at the time of the inspection. During this time, Mark earned the title of Advanced Inspector in TAREI. In 2006, Mark passed the National Home Inspector Exam. After passing inspection audits later that year with the American Society of Home Inspectors (ASHI), he became a Certified Inspector with that organization. During this time period, South Coast Inspections, Inc. began spreading out into the Houston Metropolitian Area and Brazoria County, while still serving our Galveston roots. Also during this period, the company began looking for another inspector to help out, and several inspectors were interviewed and audited, but were found lacking. As a result, the company remained a single inspector company. In 2007 the company changed the report format again to add a quick check box list of problems to the report while maintaining the narrative that clients have come to expect over the years. After interviews and audits in late 2008, Professional Inspector Eric S. Worrell, TREC LIC #10265, contracted with South Coast Inspections, Inc. to perform residential and light commercial inspections. In 2017, Mark earned the designation Certified Professional Inspector (CPI) from the International Association of Certified Home Inspectors (InterNACHI). As we move through 2018,, Mark and Eric both look forward to serving you and your family so that you can make informed decisions. Call us today at 409-737-1190 or 281-369-2029.